The last week… or 10 days actually have been insanely busy. Where to start? Well, first, some GREAT news. Our son Jamie has accepted Christ and has been baptized! Amy and I knew this has been coming for some time, but not wanting to push Jamie at all, we let it come from him in his own time. That happened on Monday Oct. 6th as Jamie and I were driving to Cub Scouts. The timing was good as we had a weekend Revival scheduled at church for which my mom would be in town for. After speaking with Pastor Ronnie we agreed that would be the perfect time for a baptism. My one regret is that Amy’s uncle George couldn’t be there. He was out of state on work. My mom came into town on Friday the 17th. As I mentioned we had a weekend Revival at church, so it was off to church almost straight away. Then, on Saturday, it was off to the state fair. The traffic was … crazy, and it was so busy you would have thought we were at Disney on a holiday weekend! 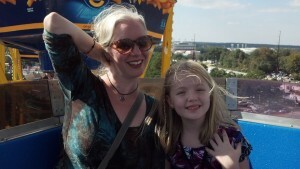 But, the kids had fun, and I got this beautiful pic of Amy and Ailsa on the ferris wheel. After the state fair it was back to Goldsboro for night two of Revival. Then came Sunday, so of course it was back to church again. 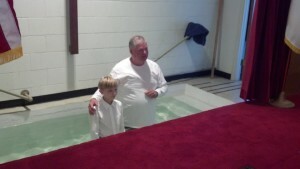 The service on Sunday 10/19 (the day of Jamie’s baptism) was one of the most Spirit filled services I have ever been in. Monday we just sort of hung out around the house. Unfortunately we did have to send the kids to school. Normally we would have let them stay home while mom is visiting but Ailsa has already missed a few days so we didn’t want to push it. I worked a few hours in the morning and then we just took it easy the rest of the day, but we did have a nice home cooked meal that night. Tuesday and Wednesday were pretty typical. Then comes Thursday… off to my aunt’s house in Creedmor for a birthday party. 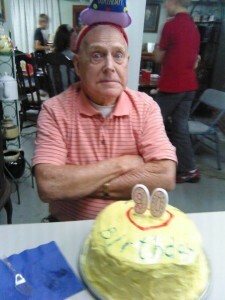 My Grandpa turned 90! Saturday was a big day too. 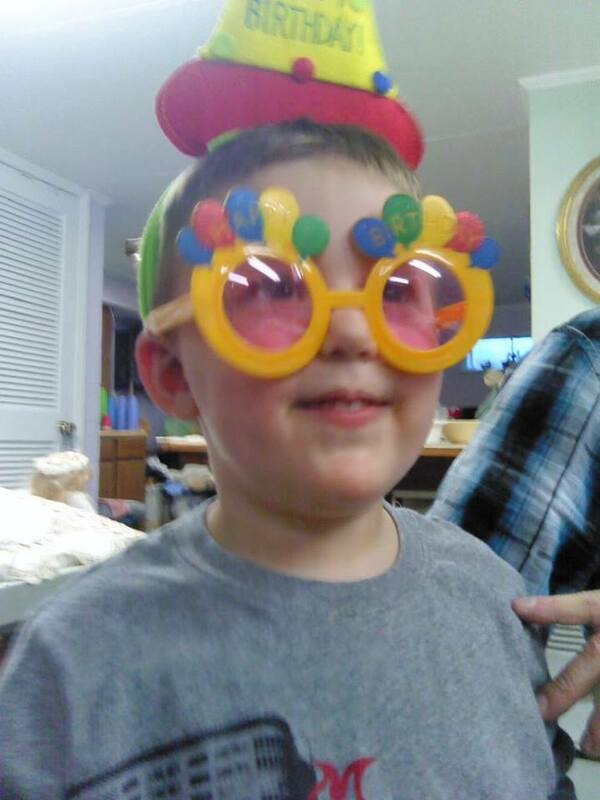 We went up to Lexington to see Amy’s dad and then onto my brother’s place in Clemmons for our nephew Aidyn’s 3rd birthday (his birthday is actually the same day as Grandpa’s). Today (Sunday) was a little strange in that we came home after church and lunch, but it was a welcome break. Truly a day of rest! Amy took a nap, the kids played, and I actually got some time to work on chess4j, but that’s another post.